If you’ve followed Hollywood trends this year, you’ve already noticed the inordinate amount of movies centered around an action team. It’s not just The A-Team which comes out Friday, but last April’s The Losers and this August’s The Expendables, which boasts Sylvester Stallone, Mickey Rourke, Jason Statham and Jet Li among others. As a result, I wanted to go back and find the movies that started the trend or made a solid contribution to the “genre.” The following rankings are based on the best action teams, not necessarily the quality of the films though that certainly plays some kind of inherent part in the process. I primarily thought about this list in terms of which team I’d most want to be part of. I grew up with the heroes in a half shell, so next to Power Rangers, they were probably the most influential team on my childhood. Even the theme song breaks down each of their character types: Leonardo the leader, Donatello the technology geek, Raphael the serious rude guy and Michaelangelo the party animal. Cartoons in particular (putting the movies aside for a second) have no better example of a fighting team than the turtles. Talk about a genre deserving of a spoof. This combination action team film and self-deprecated political commentary/humor from South Park creators Trey Parker and Matt Stone owns the title of most humorous film on this list. Need I mention all the characters are puppets? 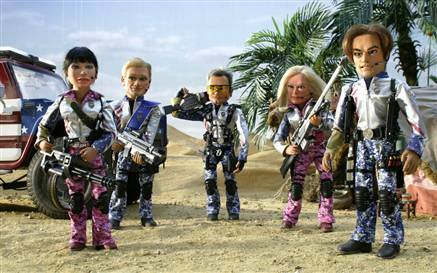 The members of Team America also break most action team stereotypes in comical ways. A special combination of family team and superhero team is the Incredibles from Pixar’s hit film of the same title. Pixar saw the genius in combining the two before anyone else and capitalized on in big time. As the coolest family ever, The Incredibles have to most importantly combine their powers together to survive and beat the bad guy. I’m happy to replace The Fantastic Four with this foursome (okay, fivesome really), especially in terms of quality of the films in which they appear. 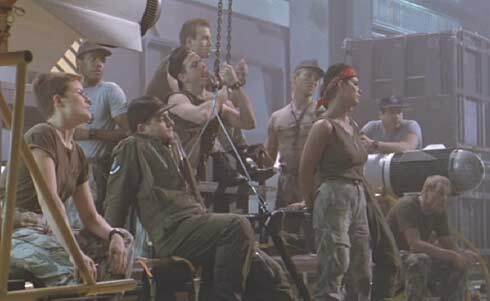 The action team element was what helped make James Cameron’s follow-up to Ridley Scott’s Alien as quality of an overall film as the original despite doing so in a completely different way. Sure, the space marines exist here pretty much to be torn apart by the aliens, but they also get to use some pretty awesome weaponry and exhibit some chemistry that makes them a memorable squad. Okay, so not really an action team per say, but when it comes to multiple team members holding different roles as the archetype calls for, no one does it better than Danny Ocean’s Eleven. 2010’s action team films are fairly focused on a “job” or mission. That’s what Ocean’s Eleven and all its sequels brought to the table: the combination of skills to impressively complete a near-impossible task. There’s also the appeal of possibly working with George Clooney, Brad Pitt, Matt Damon, Casey Affleck, Don Cheadle and more. It still boggles my mind that this is the only action team ever created thus far that fights the supernatural. I may have just given you all a jumping point for a number of film ideas that have crept into the back of my head over the years, but it's something that has to be said. 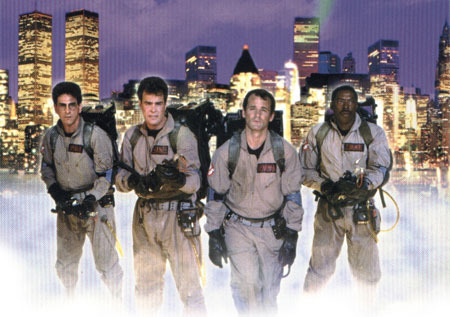 Despite being total geeks (and maybe that's what makes the lovable as an action team), the Ghostbusters are perhaps the team of the '80s and early '90s. The buzz for a third film keeps swirling, hopefully we'll get one last hurrah or a reboot because it's a pretty great property. Equal parts horror and humor make these films special as well as Harold Ramis, Dan Ackyroyd and Bill Murray. Here’s where we need to do some homage work. I’m not dumb enough not to give the real credit for this to Akira Kurosawa and his movie Seven Samurai, but that film was less about the “team” and more about being a great movie. 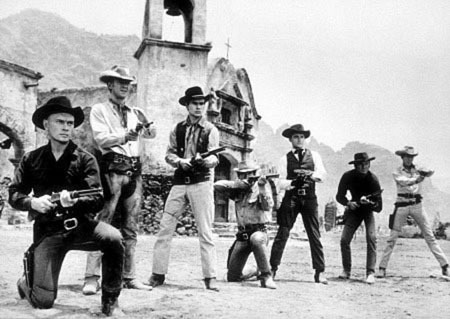 The remake of that film in Western style is The Magnificent Seven, which was all about bringing some of the ’60s best Hollywood actors and having them take down a whole lot of bandits. Steve McQueen, Yul Brynner, James Coburn, Charles Bronson and then Eli Wallach as the bad guy makes for a heck of a cast and set the precedent for assembling an all-star cast of action heroes. Who wouldn’t want to be a mutant even with all the socio-political controversy? That’s what makes this team place so high on my list. They are the superhero team that all future teams will draw comparison to (and in many cases already have). This is also the one team brought together by a man in Professor X who believed in taking them in before society’s mistreatment of them ravaged them and made them resentful and capable of great evil for the rest of their lives. This dynamic is not part of any other action team, even if its masked by everyone using cool superhuman abilities sometimes. Not a traditional action team by any means, but maybe the coolest group in all of movie history to be part of except maybe the Jedi Council. 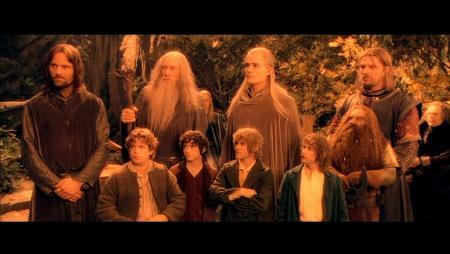 Charged with the most dangerous of responsibilities and bound together by fate and objective as opposed to camaraderie, the Fellowship is another group with no equal. It’s also undeniable that without the group, Frodo’s journey becomes a lot less tolerable. We need the fellowship as much as they need each other in the story. I haven’t seen this film, so heckle me all you like, but I know my movie history and The Dirty Dozen was the film which truly set the precedent back in 1967. There would be no A-Team and certainly no bunch of Inglourious Basterds without these twelve World War II soldiers assembled from criminals convicted of violent crimes. They also set the tone for picking a wide range of races and ethnicities for these groups way before it became necessary to do so. 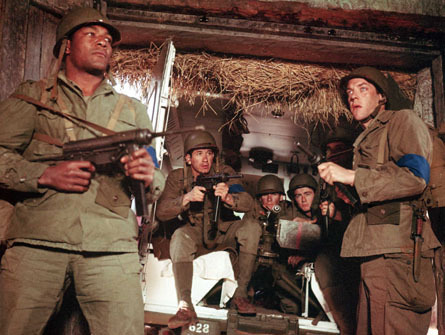 The Dirty Dozen also set into motion the Nazi revenge action war film which several films have modeled themselves after in one way or another all the way down to the mutant action team in Hellboy.